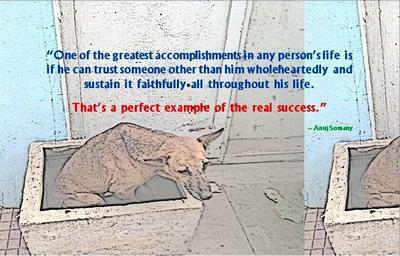 “One of the greatest accomplishments in any person’s life is if he can trust someone other than him wholeheartedly and sustain it faithfully all throughout his life. such a beautiful insight and picture too. To see that kind of reflection is surely the invisible mirror that we whole heartedly trusted ourself first. Join in and write your own page! It's easy to do. How? Simply click here to return to Sharing Evolving Insights.